I bought wonton wrappers at the grocery store for no reason at all the other day. I thought maybe I would make ravioli because I saw Giada do it on her show and it looked so easy and of course, delicious. But then, as soon as I had them at home I didn’t really want to make ravioli with them and every time I opened the fridge, they were staring at me. 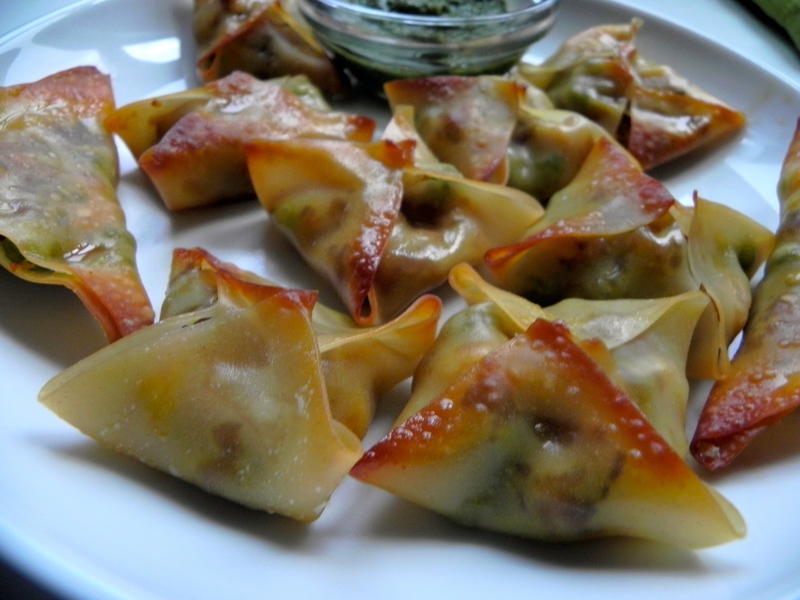 Anyways, back to my wontons. Yesterday I was finally struck that I can use these to make samosa’s which I love to eat but usually don’t want to go through the trouble of making the dough. So thats what I did! Pretty easy to do, tasty, and good for freezing so I can pull them out when we have people over.